The “NO DROP” Conveyor System. Won’t drop a hanger, ever… maintaining production. 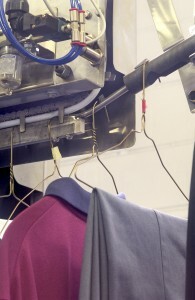 Keeps hangers evenly spaced for optimum exposure to steam and air, ensuring a consistent high-quality finish. Accepts virtually all hanger types. Directly couples to plant conveyors. Allows for more conveyor layout options with 50% less floor space than conventional tube & chain designs.